One thing every paper crafter needs is adhesive of some sorts and Close To My Heart offer a large variety of adhesives and it can be overwhelming to know what ones they are and when and HOW to use each one! So today I am breaking this down for you to make it easy & hopefully informative for when you need to choose an adhesive for your next project. Tape runners are the most popular type of adhesive in paper crafting. Tape runners are great to use for photos, card stock and scrapbooking. They are portable, convenient and give you excellent control over where and how much adhesive to use. Close to My Heart have three different types of tape runners depending on the your needs. 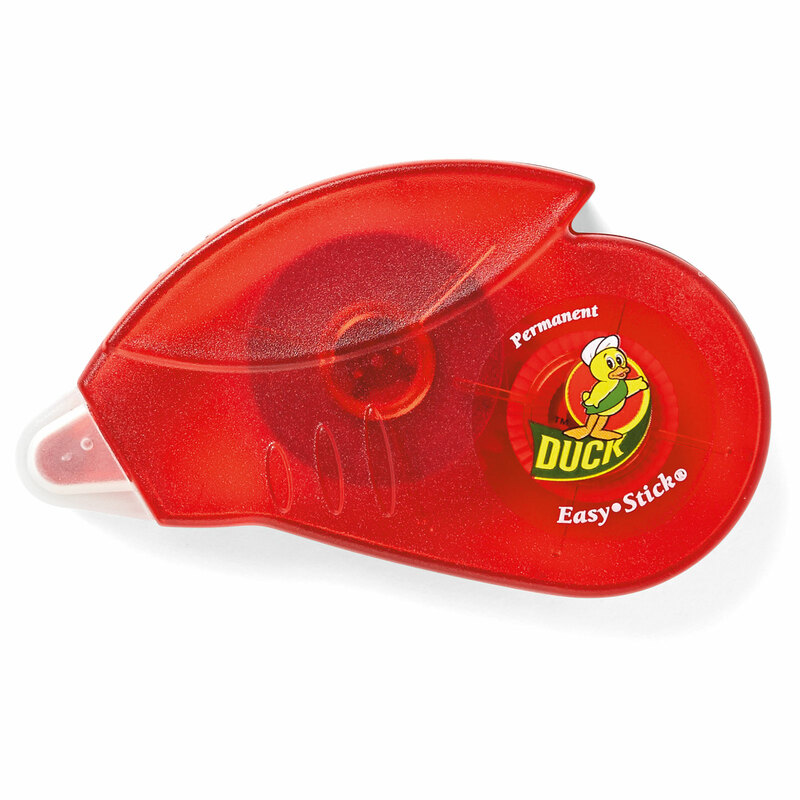 This tape runner device is refillable/reloadable, and the 3L® E-Z Dots® Adhesive Refills snap in easily. It is a permanent adhesive on dot runner and had 16 yards/15m in length of adhesive. While this is a permanent adhesive, I found if you do not press hard, you can reposition the cardstock. The dots seem to make it tacky enough to allow this but only for a little while. This tape runners comes in a set of 4. They are a disposable permanent adhesive runners. The length of each is 7 yards/6.5m. These are handy for on the go projects. This tape runner is an instant start quick-grab permanent adhesive that is 39 ft (12 m) in length. 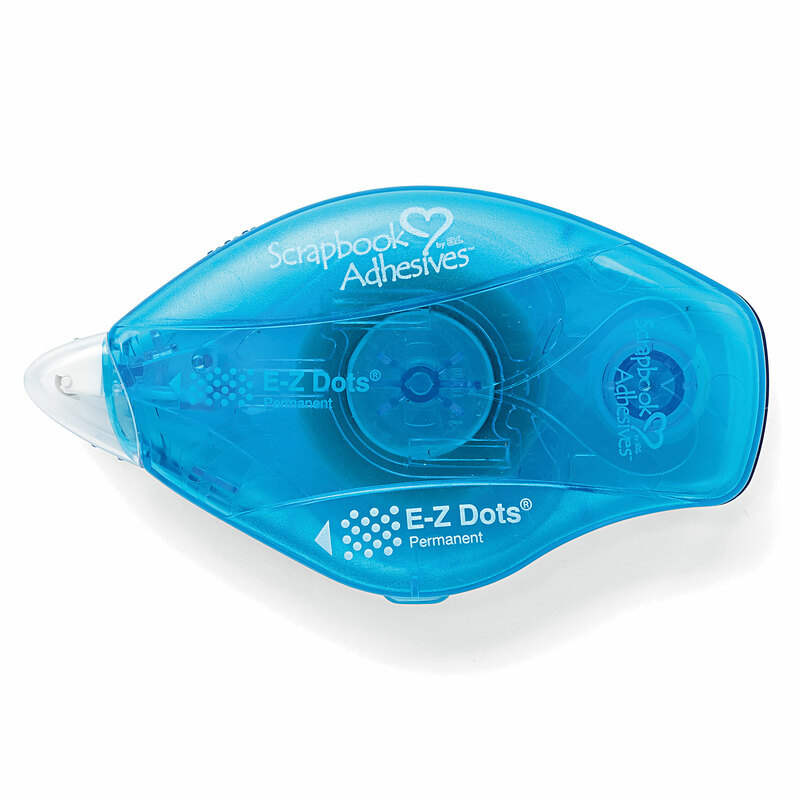 It applies in a straight line of adhesive unlike the E-Z Dots® Adhesive & has a strong bond. 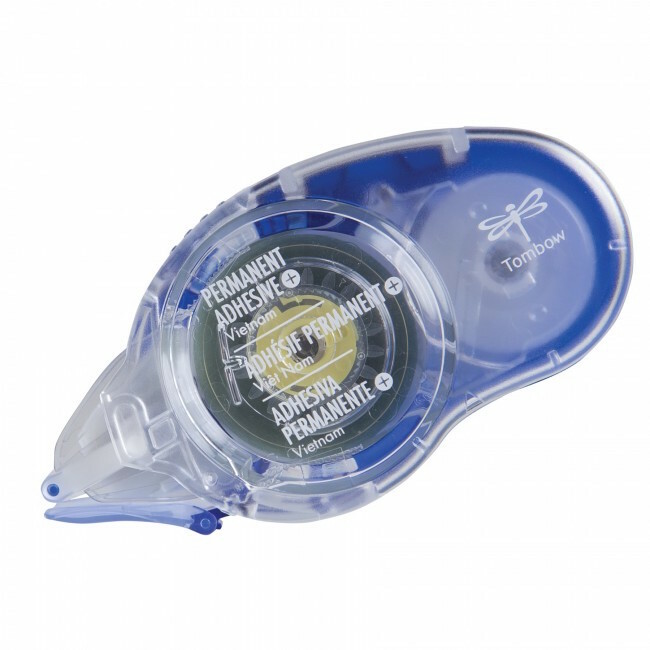 This device is refillable/reloadable, and the Tombow® Permanent Adhesive Refills snap in easily. Glue pens are an excellent choice for small die cut pieces, such as letters or thin words or use the larger applicator pen to cover larger areas of cardstock. These pens work just as a normal marker or pen would: Simply run it along your piece of card stock or paper, and adhesive will flow out. Close to My Heart have two different types of glue pens depending on tthe size of the applicator you need. 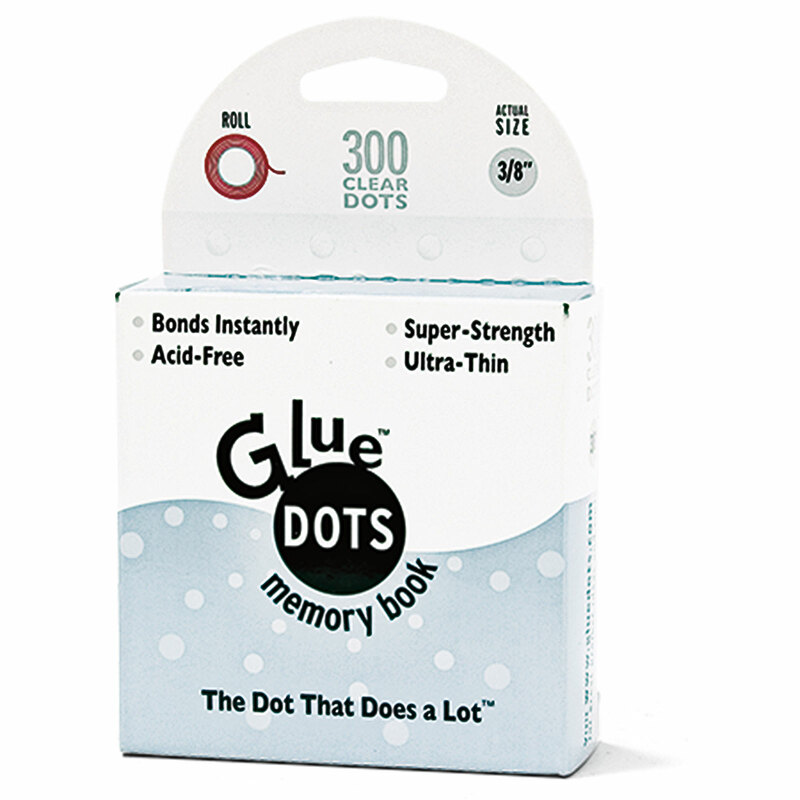 Glue Dots™ are pressure sensitive patterns of adhesive that can be applied almost anywhere. Close To My Heart have different sized dots on a roll. Quickly and easily add ribbon and other 3-D embellishments to your cards and artwork with Glue Dots™. 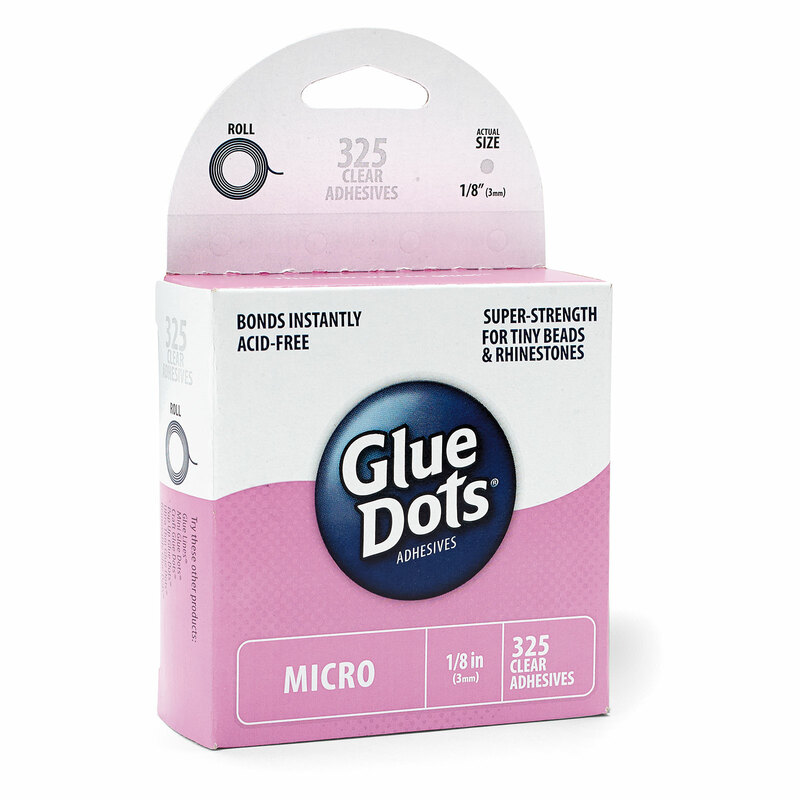 These Micro Glue Dots™ come in a roll of 1/8″ or 3mm in a pack of 325 adhesive circles. Quickly and easily add tiny embellishments to your cards and artwork with Mini Glue Dots™. This mini size offers the same great grab for the tiniest of embellishments and are Acid free. 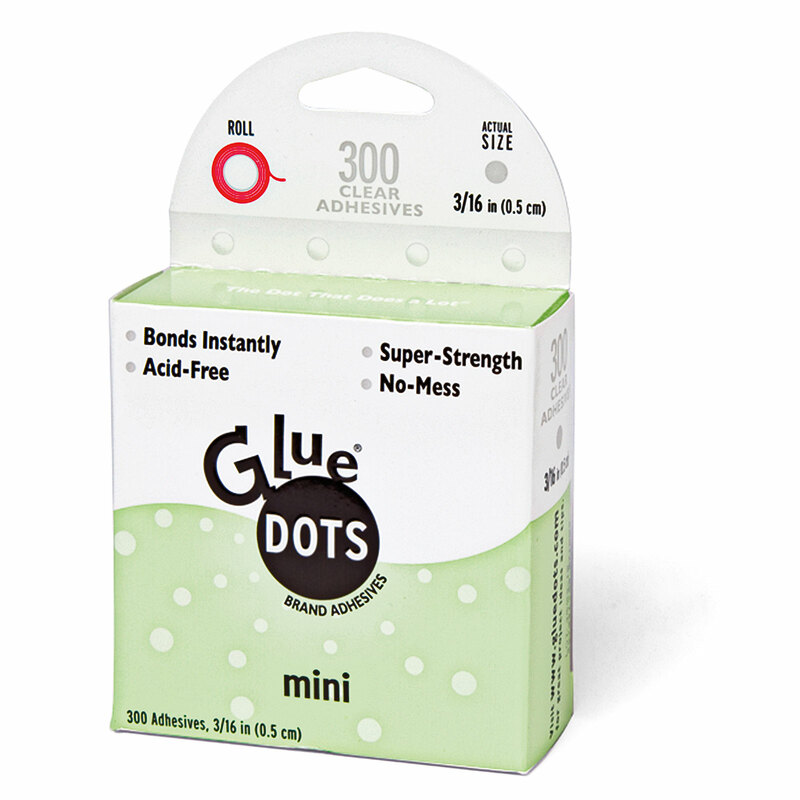 These Mini Dots come in a roll of 3/16″ or 5mm in a pack of 300 adhesive circles. Adding dimension to paper crafts can produce stunning results. 3D Foam adhesive is the best way to quickly add dimension to any project. 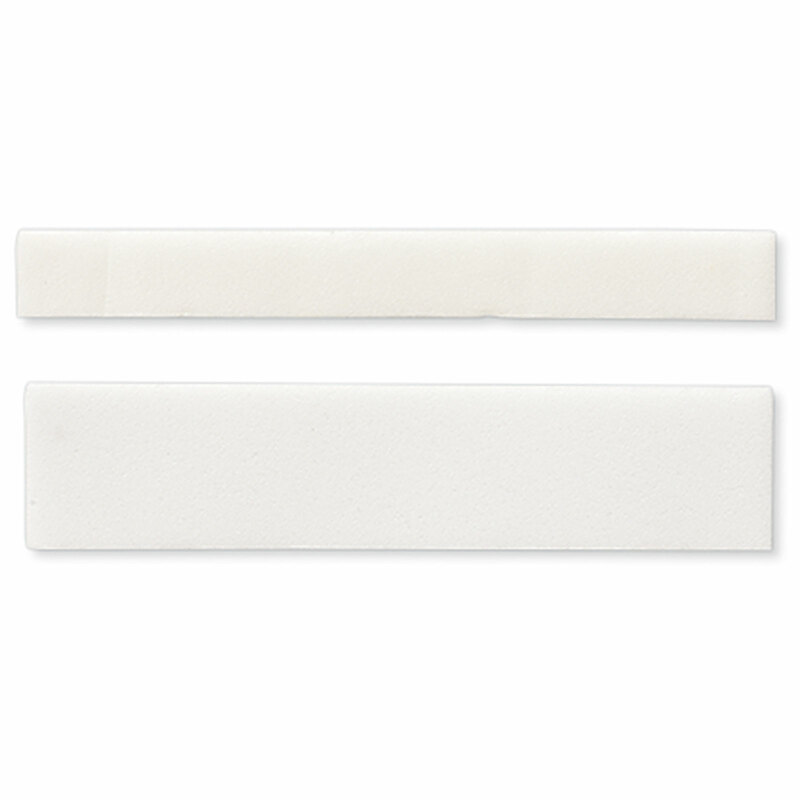 Double-sided foam tape, 1mm tall; 2 rolls per package, 3/8” and ¼” widths, 75″ per roll. This is a clear, three-dimensional gloss medium. Use to accent, brighten, add dimension, giving a resin look. But you can also place under embellishments to make them stick. Liquid Glass can be used in many other crafts including jewellery. 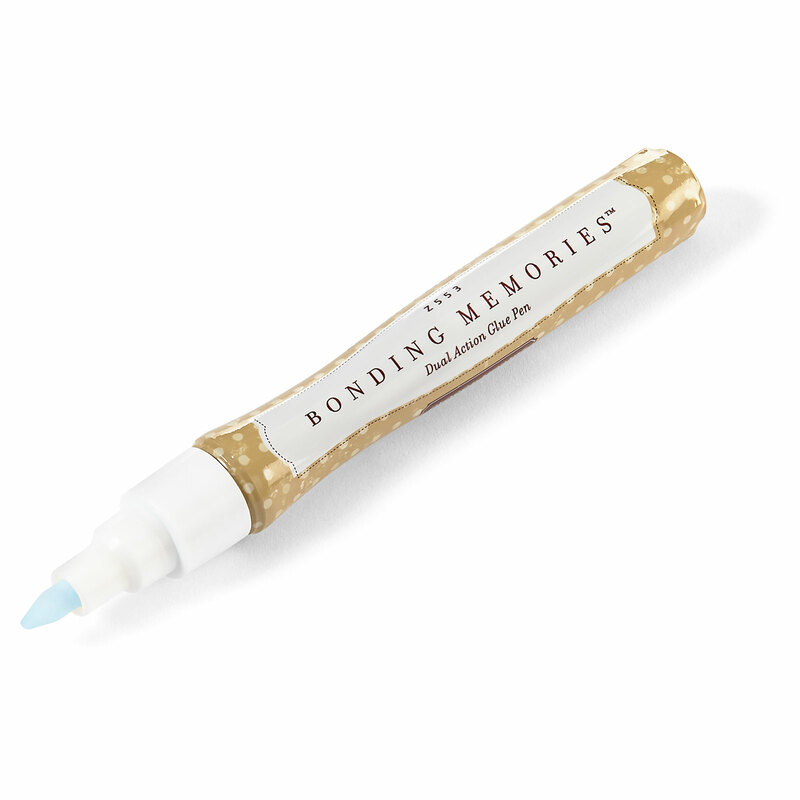 The fine-tip applicator lets you apply it precisely where you want for a glossy, glaze-like look. (2 oz.) You can use a mounded drop under your piece to help create a three dimensional look on small pieces that are too hard to use the 3D foam tape. Thanks so much for taking the time to check out the variety of adhesives that Close To My Heart have to offer and I hope now that you all have a better understanding of what our adhesives do & how you can use them in your crafting needs. If there are any products that you like to know more about let me know & I will try to blog about them too for you…see you soon. One of my favourite products from Close to My Heart is the spray pen. This product is pure “magic” when it comes to filling in a little blank space & adding a bit of extra wow. You can use the Spray Pen to ‘mist’ your projects and create visually interesting techniques with ink, paint, colour washes, alcohol, or other liquid media. Or, if you just need a handy alternate dispenser, you can even fill the Spray Pen with stamp cleaner – although you have to admit, that’s not very exciting & CTMH stamp cleaner already comes in a nifty spray bottle. Ok so you are looking at this image & thinking ‘boring’ & what is so great about this product? Well it is a nice large container which means you can mix more media, and that’s definitely a good thing when your working on a larger project. You may have noticed measurement lines – a very handy feature. With the measurement lines clearly marked on the barrel, you can more ‘scientifically’ mix your media (think 2 drops re-inker to 6 parts water). This also means that it will be much easier to duplicate a mixture. No more guess work. Take a closer look at the cap/nozzle area – the ‘twistable’ section of the spray pen is textured, in order to give you better grip. This textured finish is particularly helpful if your hands are damp. And see that ‘pocket clip’ on the lid – well that thing really helps stopping the Pen, when capped (speaking from experience) from rolling off the table & disappearing into the bin (like some of my things – oops) and well you could also use it to clip it to a bag. But this has to be my favourite way to store spray pens! The CTMH Marker Roll-Up was designed to hold up to 25 ShinHan™ Touch Twin™ markers with interior elastic loops. It Rolls up and secures with snap closure and includes hanging loop for easy vertical storage and guess what perfect for the CTMH spray pens! The CTMH Spray pens ‘pumps’ easily and I have NOT experienced ‘clogging’ as I have with other spray type pens but that could also do with the type of product that I have mixed in it in the past – mostly ink & water. Fit perfectly in the CTMH Marker Roll-Up – perfect storage for LOTS of spray pens. I hope you enjoyed this little product review & remember to join the Live your Day Gathering to be in the draw to win the January Mystery Hostess & for a chance to get a FREE roll of gold foil tape. Thanks so much for taking the time to check out this product review on Spray Pens…see you soon.